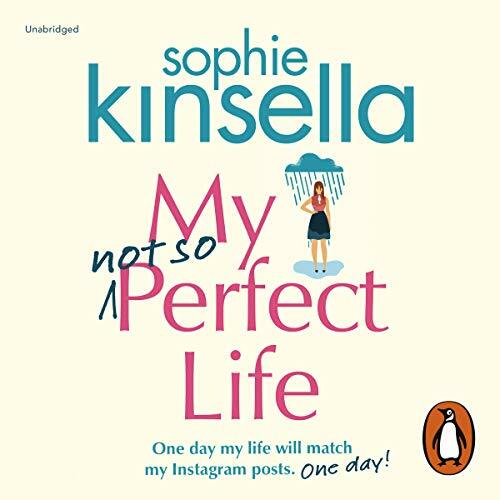 Sophie Kinsella’s My Not So Perfect Life reminds us all that there is no pattern or promise in modern life. Set in London, this is a light hearted portrait of a young woman making her journey through adulthood with wit and perception. Okay, so the truth is that she rents a tiny room with no space for a wardrobe, she has a hideous commute to a lowly admin job, and the life she shares on Instagram isn’t really hers. But one day her dreams are bound to come true, aren’t they? Until her not-so-perfect life comes crashing down when her megasuccessful boss, Demeter, gives her the sack. All Katie’s hopes are shattered. She has to move home to Somerset, where she helps her dad with his new glamping business. Then Demeter and her family book in for a holiday, and Katie sees her chance. But should she get revenge on the woman who ruined her dreams – or try to get her job back? Does Demeter – the woman who has everything – actually have such an idyllic life herself? Maybe they have more in common than it seems. And what’s wrong with not so perfect, anyway? Katie Brenner is such a mess, that she can’t even keep her name straight in her head. After moving to London, she decided to go by Kat instead, but she keeps introducing herself as Katie. Obviously this is a big deal, because it’s pointed out quite a few times. Both through inner conversations with her self, and when she gets it wrong in actual conversations with others. Katie grew up on a farm, dreaming of the glamorous London life. But her bubble is quickly burst after her move, as she learns that making it in the big city is not as easy as it seems. This is partly where the plot fell flat to me. As someone who lives in England, I haven’t come across a single person who doesn’t know that it’s ridiculously expensive in London. Seriously, even £100,000 will hardly get you anywhere there. Yet, here’s this girl that’s born and raised in Somerset, and thinks that things will and should just magically fall into her lap. Katie’s boss, Demeter, is a character! She’s scatter brained, direct and very business orientated. What she’s lacking is people skills. However, being direct, abrupt and not big on holding your employees hands throughout the day – just to pad them on the head at night and say “good job”- is hardly a sin. But for exactly those reasons she’s made out to be a villain. Katie who’s naive enough to build (almost) all her impressions on office gossip, feels very wronged and holds her boss personally responsible. What’s even more petty is, that her motivation for revenge, when she meets Demeter later on after being fired, is that Demeter is supposedly sleeping with the guy Katie is interested in. Seriously? Considering that Coco is Demeter’s daughter, I find the comparison to a lover quite distasteful. To me Fiona Hardingham did a perfect job! Pronunciation is clear, her accents are funny and so realistic. I’ve listened to other narrators who were not just over the top, but downright ridiculous. Fiona walks the line perfectly, and I love her “farmer” accent. By now it must sound like I didn’t like the book at all, which actually isn’t true. As an easy-breezy audio to listen to while doing household chores, it’s spot on. While writing my review I’ve realised that my dislikes are personal, and they don’t reflect the writing – which is both good and entertaining. I mean, it’s not every author that manages to make me have so many thoughts and feelings, so to me that does speak volumes about the writing. Thankfully, Katie does somewhat redeem herself in the end, personally I just don’t really feel like she deserved a happy ending. But that’s just one bloggers humble opinion, and big wish to see more strong characters, instead of whiny insecure women who feels wronged by the world. Have you read this book, or any books by the author? What’s your opinion on heroines who are petty and entitled? What about people who step on others in order to lift themselves up? Let’s talk in the comments!